We’ve all been there – your award letter comes and maybe it’s not quite as much as you’d hoped it would be. And the loan portion isn’t quite as little as you’d hoped it would be. But you take out the loan anyway because how else are you supposed to pay for school? We’re 18-22 year olds mostly, and I don’t know about you, but I certainly haven’t got $30,000 lying around for free spending. 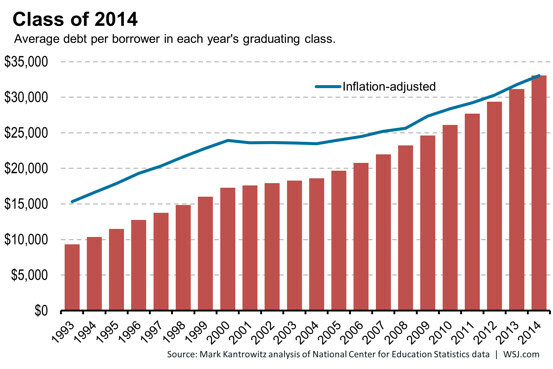 College costs continue to rise and with the rising cost comes a rising amount of average debt per student per year. 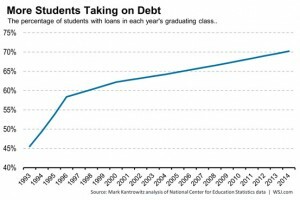 In addition to a higher amount of debt being taken on by students, a larger number of students have to resort to taking out loans as well. Another thing to keep in mind while borrowing for undergrad, is how you are planning to pay for grad school should you choose that route. According to the Wall Street Journal, “About 15% of graduate and professional school students graduate with six-figure student loan debt compared with only 0.3% of undergraduate students”. Be aware of potential salary increases that can come from an advanced degree in comparison with the additional debt and decide for yourself if it is appropriate for your goals. 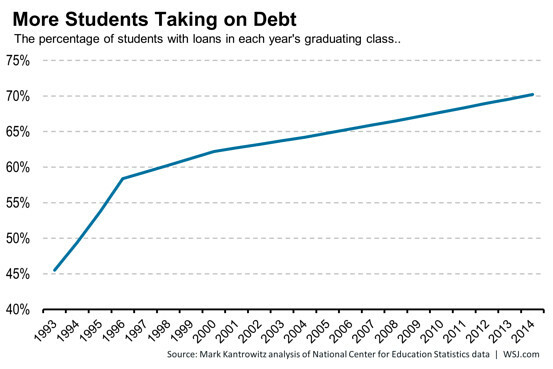 Student loan debt is not all bad though. With proper planning and budgeting, you can keep your student loan debt under control. 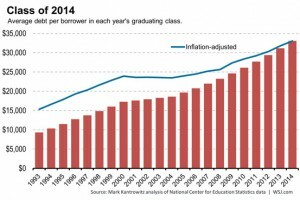 Still, college students need to be aware of how much they are borrowing and make sure it is the smallest amount possible to get through school. Supplement the borrowed amounts with jobs and scholarships as much as possible. It’s not always enough to cover everything, but every little bit counts especially once interest starts adding up on an unnecessary loan. Alexandria is a junior studying public relations and advertising. When she’s not writing, you’ll find her painting, playing her ukulele and piano, or curled up with a good book. She hopes to one day write and illustrate a children’s book.